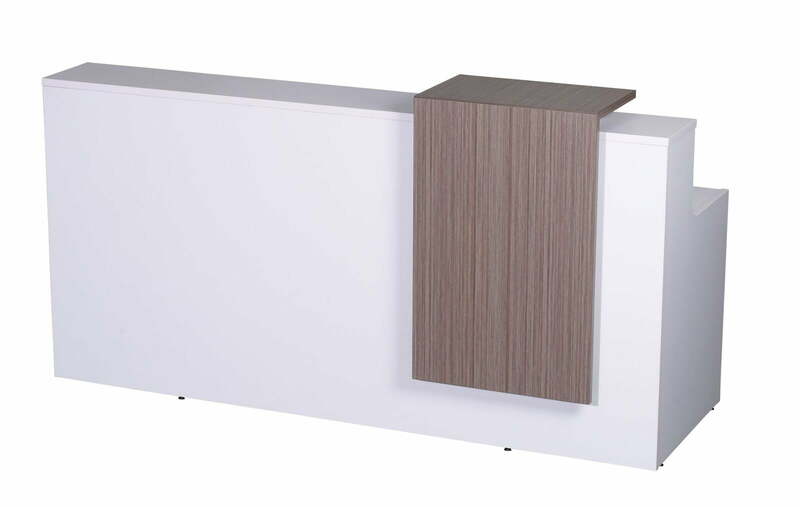 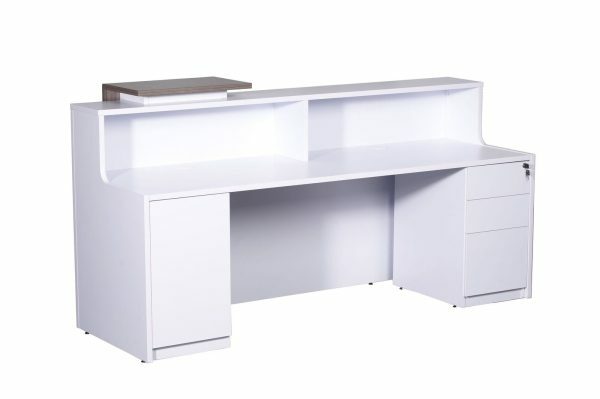 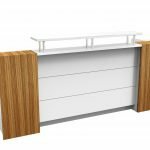 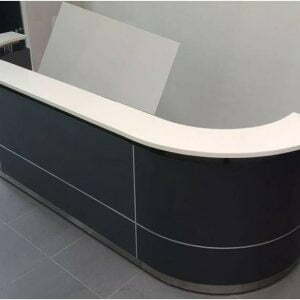 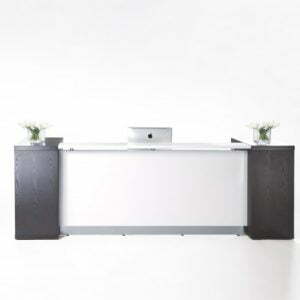 When Modern design and simplicity meet your result is the Pure reception counter. 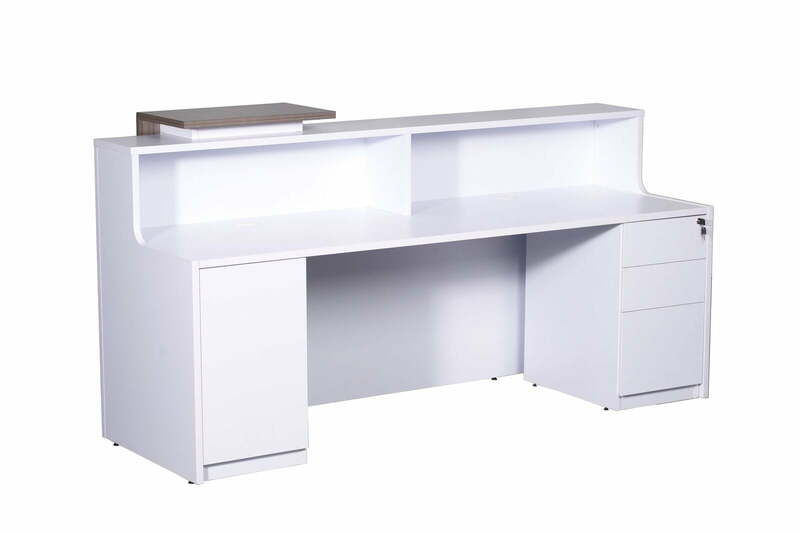 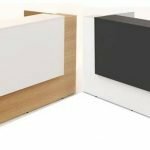 Brilliant White with Driftwood wrap around cowl feature panel, Build in 3 drawer under desk pedestal CPU Unit and storage cupboard. 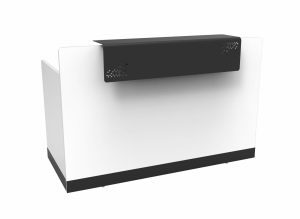 Cupboard includes 2 x Chrome cable entry hole covers.